I don't know about you, but at this time of year my feet always start to itch for travel and adventure. It doesn't matter where in Neopia we live, or how much we love it there, sometimes it's great to get away for a few days, take a break from the daily routine, experience a different land and sample the culture. However, since bringing a baby Neopet into our little family, this has proven to be more of a challenge than usual. It's no longer a simple question of hopping on a boat and going wherever we please, we need to plan; how will we travel all that way with a little baby? Once we get there, will there be activities to keep her entertained? Above all, is it a safe environment for such a defenceless little Neopet? All of this needs to be considered, and unfortunately, sometimes there's no way to know the answer until you've actually been there. But don't let that deter you! Travel broadens the mind, and if, like me, you're determined to instil a sense of adventure and a love of travel in your little tyke from day one, it's not worth putting off those vacations. So, once again, my baby Usul, Tippled, and I have packed our bags and put on our best walking boots, in order to sample all Neopia has to offer and bring you this comprehensive guide. In the name of convenience, we thought we'd start with the land we call home, dear sweet Brightvale. Overview: A lovely peaceful land, where wisdom is celebrated and artistry abounds. We Recommend: Brightvale Castle. Just like stepping into your baby's favourite faerietale, this castle is the perfect place to tour while your little one fantasies and plays pretend at being a princess or a knight. King Hagan is usually happy to grant an audience, and greets even the most raucous babies a smile and sage kindness. We Don't Recommend: Brightvale Glaziers. A wonderful shop that sells the most stunning stained glass windows it may be, but babies tend to be clumsy, and one misplaced flailing arm can turn a casual browse into a big pile of broken glass and a very expensive bill. 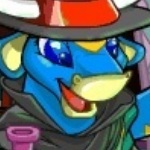 Evaluation: While it is a great place for a bookish Neopet to vacation, there aren't many activities to do or baby-friendly places to see, and young Neopets may find it a trifle dull. Don't Forget to Pack: Isca Spring Book Bag. You'll need something to store all your newly acquired fairytale books in! Overview: Like Brightvale, Meridell is an old Medieval land, like a story book come to life. We Recommend: Pick Your Own. What small child doesn't like berry picking? Here your wee bairn can pick delicious healthy treats right off the bushes, how fun! Watch out for dung, though. We Don't Recommend: Ultimate Bullseye. While this is a super fun game for older Neopets, I wouldn't recommend projectile sharp pointy objects for infants. Evaluation: A great place for little ones! Bright, colourful and with friendly locals (except King Skarl... he's not quite as welcoming as King Hagan) and lots and lots of mud to play in. Don't Forget to Pack: Travel Soap. Conveniently packaged for dealing with the muddy feet, without dealing with soap gunk all over your luggage. Overview: The sinister home of Lord Darigan and his minions. We recommend: Darigan Toys. A well-stocked toy shop full of souvenirs for your little one to remember his macabre holiday... if he isn't terrified of every creepy toy in there. We don't recommend: Lord Darigan's Chambers. Even less welcoming than King Skarl, this fiendish leader was not happy to give us a guided tour, and immediately threw us out with a scowl and a threat! Evaluation: Although no longer at war with Meridell, we couldn't help but feel unwelcome here. At best, our presence was resentfully tolerated. Definitely not the place for cutesy babies. Don't Forget to Pack: Sunshine Shield. It will help protect you from any dark magic the locals feel compelled to throw at you. Overview: The whimsical home of the Faeries, which since falling from the sky has become much more accessible to tourists. We Recommend: Faerieland Book Shop. If your tot is as into their faerie stories as mine is, a stop at this little shop is an absolute must. The Library Faerie stocks many books suitable for younger ages, and is always happy to help you find just the right story for your little one. We Don't Recommend: Jhudora's Bluff. While exploring Faerieland we stumbled into this dark faerie's abode. She did not seem happy to see us, even less so when we declined to go on a quest for her. Not a pleasant lady to run into. Evaluation: Overall, a beautiful land full of enchantment. It's a great opportunity to meet some Faeries, but the pretty magic of the place might be a little lost on some more boyish baby Neopets. Don't forget to pack: Faerie Queen Wings. Your baby will love dressing up and pretending to be a Faerie, too! Overview: A spooky land populated by some of Neopia's most feared spectres, monsters and mutants. We recommend: The Deserted Fairground. There are lots of fun games to play, such as Test Your Strength and Bagatelle... don't be surprised if you go home with a few sickly treats, negative Neopoints and a mysterious illness, though. We don't recommend: The Esophagor. Big enough to swallow your baby whole, this bellowing behemoth is one horrifying sight your little one can do without seeing. Evaluation: Not only was the vacation itself a terrifying ordeal for my little one, she also suffered terrible nightmares for months afterwards. Definitely unsuitable. Don't Forget to Pack: Tigersquash Smiley Snack. Your baby will need it to perk up their mood and chase away nightmares. Overview: A cursed and distinctly funereal city, recovering from its grim history of curses and horror. We recommend: The Crumpetmonger. Vanilla Cream Puffs, Berry Tarts, Chocolate Scone... I'm drooling just remembering it! And what baby doesn't love stuffing his cute little face with delicious cream and jam? We don't recommend: Apple Bobbing. Not as fun as it sounds, the water is filthy and I'm pretty sure Bart is a cheat. Evaluation: While a considerably less frightening location than the Haunted Woods, this dreary city still isn't exactly an ideal cheery holiday spot. The crumpets really are good, though. Don't Forget to Pack: Handheld Meowclops Torch. Sometimes it can be hard to find your way through all that darkness and fog. Overview: A welcome contrast to the Haunted Woods and Neovia! An easygoing retreat with a fun, relaxed atmosphere. We recommend: Glass Bottom Boat Tours. The perfect way to view Kiko Lake's underwater village without getting wet, your little one will love waving at the friendly Kiko villagers beneath them. We don't recommend: Kiko Lake Carpentry. While many of the items sold there are beautiful, many are made from fragile shells and coral. Don't torture yourself by looking at pretty things you can't have; they won't last five minutes once you get them home in your whirlwind toddler's path. Evaluation: A fascinating place to visit, with convenient onshore shopping. However, unless your baby is a Nimmo, Kiko, Peophin or Koi, it might not be the safest destination for curious tots who can't swim. Don't Forget to Pack: Wellington Boots. Sometimes the Glass Bottom Boat is a little damp underfoot! Overview: The replete hub of Neopia, a blithe land of magic and fun. We recommend: Kadoatery. My baby loved seeing all the cute little Kadoaties, and especially enjoyed seeing their sad faces perk up with joy as kind Neopians fed them. Plus, it's a great opportunity to teach the importance of altruism. We don't recommend: The Neopian Second-Hand Shoppe. With smelly piles of dung heaped up on every surface, this isn't a very hygienic place to bring your little thumb-sucker to! Evaluation: Tons of fun, with great shopping locations, the Art Centre, the Money Tree and buildings shaped like giant burgers and books, your baby is sure to be entertained. Don't Forget to Pack: Zafara Tourist Camera (and maybe a Zafara to help you operate it). You won't want to miss a single photo opportunity in this bright, opulent land! Overview: A bright and colourful land of fun and games, populated by friendly locals who always seem happy to see you. We recommend: Merry Go-Round. Tippled squealed with delight the moment she laid eyes on the wooden Unis, and really enjoyed riding around in circles on her cloud-painted steed. I was a little unsure about the safety of the ride at first, but it rotates so slowly and gently that my concerns were soon put to rest. We don't recommend: Deadly Dice. We stumbled upon this crypt while exploring the outskirts of the Island, and realised we had found the home of Count Von Roo, a chilling specter that the other Islanders had warned us to avoid. Fortunately, the Count was sleeping at the time, and we managed to leave without awakening him and incurring his wrath. Evaluation: A joyous land with a unique culture that seems to revolve around good-natured fun and games. The inhabitants (save one!) are some of the most affable characters you'll ever meet, all of whom cooed and clucked indulgently over my little Baby, and seemed eager to play with her all day! Don't Forget to Pack: Dicearoo Replica Trophy. Your little one will love playing all of the games available here, and although they might not win for real, you can always provide them with a little replica trophy to show off to their little friends once they get home. Overview: This icy land comprises of three separate areas; Happy Valley, the Ice Caves and Top of the Mountain, all three differ greatly in what they offer, but are all well worth the visit. We recommend: Super Happy Icy Fun Snow Shop. The eccentric Lenny shopkeeper offers all kinds of wintery treats that your tiny tot is sure to love! From sweet Candy Floss Chia Pops, to soft Grape Snow Puffs, to the bizarre Snow Toast, your bantam bairn is guaranteed boundless fun sampling the frozen treats. Be wary of brain freeze, though! We don't recommend: The Snowager. I thought it would be a good idea to take my baby to see Neopia's most infamous ice snake while he slept, unfortunately he squeak of excitement upon seeing his colossal conglomeration of treasures awoke the behemoth from his slumbers, and he fired an icy blast at us both! Fortunately, I managed to shield her from most of it and whisk her out of the cave before she got too hurt, but we did spend the best part of an hour picking ice shards out of her tail. Evaluation: A frosty wonderland perfect for those who prefer a wintery holiday. However, it's not really the safest place for babies, with its monstrous inhabitants and treacherous slippery icy paths, so keep your darling progeny close at all times! Don't Forget to Pack: Baby Winter Sweater. You're gonna need it! Overview: A prehistoric province, ruled by the toughest Grarrls, Tonus and Chombies! We recommend: The Tyrannian Concert Hall. If your tot loves dancing as much as mine does, this is one attraction you don't want to miss! All of Neopia's greatest bands play here, from the exuberant thrills of Yes Boy Ice Cream to the smooth tunes of Jazzmosis. We went to see Chomby and the Fungus Balls, and little Tippled couldn't keep her little feet still throughout the whole show! We don't recommend: Lair of the Beast. A mean Tyrannian Lupe recommended this cave to us as "one of Tyrannia's most popular attractions." Let's just say that it took a LOT of Smiley Snacks and snuggles in her Baby Security Blanket before I could calm my poor little baby out of hysterics! Evaluation: This might be a fun holiday for babies that don't scare easily. Most of the inhabitants are very large and quite... toothy, which many small children can find frightening. Don't Forget to Pack: Kacheek Earmuffs. For protecting your little dear's ears from loud concert music and loud roars. Overview: An underwater kingdom with a peaceful atmosphere, rich in culture and history. We recommend: Jubble Bubble. An adorable little game, featuring a friendly Maraquan Shoyru named Kelby, who blows bubbles to safely bring his Maraquan JubJub friends to the ocean floor. What baby doesn't love bubbles? Mine clapped her hands together with glee every time the amicable Shoyru blew a nice big bubble. We don't recommend: Kelp. Oh, the food was delicious all right, certainly amongst the best quality we've seen in all our travels around Neopia, but it was extremely expensive and neither the staff nor the fellow patrons seemed to appreciate a noisy, messy baby ruining the ambience. Evaluation: A great place to visit if your baby is of the aquatic variety, baby Koi might particularly enjoy a visit to the homeland they originate from. But for everyone else, you might find having to go everywhere in your Maraquan Exploration Suit, Helmet and Tank a little tiresome. Don't Forget to Pack: A spare Maraquan Exploration Tank. The last thing you want to do is cut your holiday short because you're running out of air! Overview: A lawless isle of dastardly villains, conflicted anti-heroes and swashbuckling adventure. Not for the faint of heart or the weak of spine! We recommend: The Forgotten Shore. This secluded little spit of land is Krawk Island's worst kept secret, virtually everyone in Neopia has found all of the map pieces that lead to the location of this treasure-strewn beach. Still, your baby will enjoy digging around in the sand here, and they have a high chance of actually discovering some treasure here too, even if it's just a pile of Neopoints. We don't recommend: Warf Wharf. As much as this bustling hub gives us a truly fascinating peek into the grimy life of Neopia's pirates, it's crowded with the grimmest and most fearsome of Neopians at all hours of day and night. We barely made it three steps down the street by the time I realised that the bag of Neopoints I kept in my pocket had been artfully lifted by a light-fingered pirate thief. Down every alley, behind every corner, there lurks sinister sea dogs just waiting to cheat or steal every Neopoint you've got! Evaluation: If The Grundo Pirate is the most well-worn book on your baby's bookshelf, and you often find your tot staring wistfully at passing pirate ships, dreaming of adventure, this might seem like the holiday for you. But be warned; these aren't wussy storybook characters to be trifled with; they're the real deal, and they're not to be trusted or underestimated. Proceed with caution, and keep your toddler close. Don't Forget to Pack: Pirate Small Talk and Pirate Captains Cutlass. A book for communicating with the locals, and a cutlass for communicating when words aren't enough! Overview: Now this is more like it! A tropical island with sandy beaches, blue seas and all manner of exotic attractions to wile away the hours! We recommend: Tiki Tours. Familiarise yourself with the holiday island with the help a very knowledgeable local Coconut JubJub. He'll show you the best beaches, the coolest sights, and recommend the best places to eat. The extremely personable Coconut JubJub seemed more than happy to bring a baby along on the ride, and paid special attention to pointing out to the best child-friendly sites and activities for our benefit. A very valuable precursor to enjoying an Island holiday with your baby, not to mention how much Tippled enjoyed riding around in the cart, waving at all the friendly Island locals. We don't recommend: The Mystery Island Mystic. It takes a long hike and a short but exhausting row-boat ride to get to the Island Mystic's hut, and in my opinion, not worth the journey. The fortune he told us was nothing more than complete nonsense! I don't know who this "mystic" is, but I suspect he might be a few greens short of an Azzle Salad. Evaluation: Unlike Krawk Island, Mystery Island welcomes tourists with enthusiasm and open arms. We spent many an hour playing on the idyllic sandy beaches together. The locals' reputation for hospitality is well-deserved, and they treated Tippled with understanding and kindness, even when she was tired and grumpy. Don't Forget to Pack: Sun Block Lotion. Always protect your little mite's delicate skin from the hot island sun! Overview: An industrious subterranean domain, thousands of feet below Neopia's surface, built around a vast system of caves, magma lakes and lava chambers. We recommend: Moltara Town Hall. My tot was captivated by this building before we'd even entered, with its complex machinery of huge turning cogs and hammers clanking and shooting steam out of the roof. Inside, we met a most obliging Chomby, the mayor of Moltara, who told us all about the fascinating history of the city. Tippled was riveted throughout the thrilling tale of Roxton Colchester, and hung on the old Chomby's every word. We don't recommend: Molten Morsels. The Bruce shopkeeper was friendly enough, but nothing they served there was remotely appropriate for babies to eat! Every dish was so hot I could feel the heat radiating from it from three feet away! And none of the food seemed to cool down, no matter how much I blew it. A baby couldn't even touch their scalding hot morsels, never mind eat them! Evaluation: While the Moltarans are friendly enough Neopians, this isn't really a suitable holiday destination for babies. From the moment you step through the immense doorway, the extreme heat of the place hits you like a wall, and Tippled found this most uncomfortable. The entire city is filled with gigantic rotating cogs, gears and moving machinery; uncovered flames burn on every wall of the Moltaran Caves and rivers of boiling hot Magma bubble and flow between the cracks in the ground. Bringing a baby here is just asking for a terrible accident. Don't Forget to Pack: Island Lenny Feather Fan. You'll need it for fanning your poor sweating little baby in the immense heat of the underground caverns. Overview: An ancient land of legends and heroes, recently awoken from a thousand-year slumber. We recommend: The Astronomy Club, Altadorian Archives. You might think that learning about the deep mysteries of the cosmos might be a little too complex for a baby Neopet... and you'd be right. But the Astronomy Club are a learned bunch that understand the importance of nurturing a healthy thirst for knowledge in youth. They were more than happy to allow Tippled to become an "honorary member" of the Astronomy Club, and she had lots of fun looking through the telescope and gurgling excitedly at the pretty stars and nebulae. We don't recommend: Illustrious Armoury. Sharp, pointy objects everywhere! We'd barely stepped in the doorway and we were face-to-face with a Winged Spear, we turned and nearly walked into an Altadorian Halberd, then a Double Pointed Spear! Needless to say, I quickly took Tippled out of there before she lost an eye! Evaluation: A very picturesque province, great for the baby that has an interest in learning about brave heroes of yore. The peace and tranquillity is sure to be shattered by the excitement of the Altador Cup though, so be sure to book your accommodation and make all arrangements for your stay well in advance, to beat the crowds. Don't Forget to Pack: TNT Yooyu Plushie. Your little tyke will love to take this friendly commemorative plushie around with them while visiting all the famous Altador Cup sites. Overview: The mountain land of flying ships and misty rain clouds. We recommend: Fanciful Fauna. Some of the most fascinating petpets in Neopia can be found here, from the delicate Quintilc to the gentle Pandaphant. Tippled was enchanted by the wide array of creatures, many of which she'd never set eyes on before. We don't recommend: Kou-Jong. Don't misunderstand me, I think this is a great game for older Neopets and their owners alike, perfect for focusing the mind. However, Tippled just couldn't get her sweet baby head around it, and eventually knocked the neatly stacked tiles flying in a fit of frustration. Linae was not impressed, and we had to make our sincere apologies before hastening to leave. Evaluation: While it is a very beautiful land to behold, I feel it is a little more suited to a more mature crowd. There aren't many baby-friendly activities or things to see, and the steep mountain paths and rickety bridges are difficult to scale with a toddler in tow. Don't Forget to Pack: Bright Skies Umbrella. Being so high up in the clouds, Shenkuu is prone to frequent showers. Overview: A dry, arid district of Neopia, built on sand and sandstone, with a rich, dramatic history. We recommend: Tug-o-War. A most exciting game that my little one really enjoyed watching. She cheered along enthusiastically as the various opponents pulled on the rope, and laughed and laughed every time somebody was pulled into the river with a splash. Lots of fun! We don't recommend: Coltzan's Shrine. While Coltzan might generally be considered a good spirit, Tippled found the whole ritual of visiting his shrine somewhat eerie and frightening. This wasn't helped by her reward for approaching the shrine being the sand growing unusually hot beneath her feet. She yelped and jumped up into my arms, and refused to be put down again until the shrine was a small dot in the distance behind us. Something tells me that old Coltzan has quite the wicked sense of humour! Evaluation: An interesting exotic land with lots to do and see. It's definitely worth visiting both Sakhmet and Qasala, as both areas enjoy widely differing cultures and sights, although neither are without their dangers and shadowy citizens. Take special care to avoid the Spirit of the Ruins at all costs! Don't Forget to Pack: Meridell Bucket and Spade Set. With this much sand around, what baby can resist building a sandcastle or two? Overview: Originally belonging to the evil Dr. Sloth, this space station has since been taken over by considerably less evil Neopians and transformed into a futuristic amusement arcade of sorts. We recommend: Splat-a-Sloth. This fun little game is simple enough for even a baby to understand; hit the Sloth puppet with the rolled-up paper! My baby had lots of fun whacking the sock puppet with enthusiasm. We don't recommend: The Space Battledome Arena. We stepped into the arena intending to spectate, but upon entering poor little Tippled was challenged to a battle by all kinds of terrifying monsters, like enormous mutant Grundos! Avoid, if you want to keep your little neonate safe and sound! 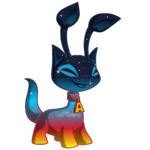 Evaluation: A very fun place for little Neopets with a love for futuristic space travel to play, with lots of games to try out. However, the cold shadow of its original owner seems to linger somehow, so be cautious. Don't Forget to Pack: Space Grundo Toy Gun. Your wee one will probably want to play at being a space hero while you're here, so arm them with this harmless toy to point innocent passers-by! Overview: The quiet, sparsely-populated moon of Neopia, inhabited mainly by a group of orange Grundos. We recommend: Booktastic Books. If your mini moppet isn't already a member of the Booktastic Book Club, we recommend you sign them up! A Neopet is never too young to start enjoying books, and the Booktastic Book Club can also earn your baby shiny badges. So while you're visiting Kreludor, be sure to take the opportunity to stock up on Booktastic Books, such as Wishing On A Star and Kreludan Bedtime Stories. We don't recommend: Kreludan Mining Corp. I thought all of the Kreludan mines had been abandoned, so I took Tippled to have a look... and was confronted by a S750 Kreludan Defender Robot, who pointed his lasers at us and commanded us to leave. Very disconcerting! Don't Forget to Pack: Spacerocked Sling Shot. There's not much to see except miles of space rocks when you're trekking from one side of Kreludor to the other. Use this to keep your baby entertained! There you have it, dear Neopians! We've been to the moon and back on our 'round-Neopia excursion, and hopefully provided a full evaluation of everything our colourful and diverse world has to offer for your darling little bundles of drool. Thanks for reading, and we hope this guide was of some use to you when planning your holiday with little ones this year. But as for Tippled and I, we're utterly exhausted and will spend the rest of the summer season recuperating right here at home! The story took place a long time ago, and in the end the whole town was freed. Everyone's happy, right? WRONG. Vivi had never left Faerieland before. She wasn't like the others, coming and going as they pleased by the wings on their backs.